The below article has been written by our very own Becky Brand who works in our Torquay Store and has long been a diehard fan of the World of Warcraft series of games. As an avid gamer; I thought she would be better equipped to talk about this subject with you this week. World of Warcraft (or WoW) is the massively multiplayer online role-playing game (MMORPG) from Blizzard Entertainment. Warcraft initially started out as a series of three games ending in Warcraft 3 with World of Warcraft being set after these games. When you start the game you need to create an avatar which you will control as you explore the fictional world of Azeroth. You have a choice of two sides; either the Alliance or the Horde with each side having a number of different races that you can play as including Trolls, Dwarfs, Humans, Gnomes and Orcs. Depending on your gaming style you may choose to be a Warrior, who charges in and takes the full wrath of the enemies, or maybe a mage who blasts your enemies with spells from a distance. There are also many different classes including Priests, Rogues, Paladins, and Shamans, so there is almost always a way of playing to suit most people. Once you have your character you will need to quest to earn level ups, armour upgrades and new skills to improve your ability to tackle stronger enemies and bosses. 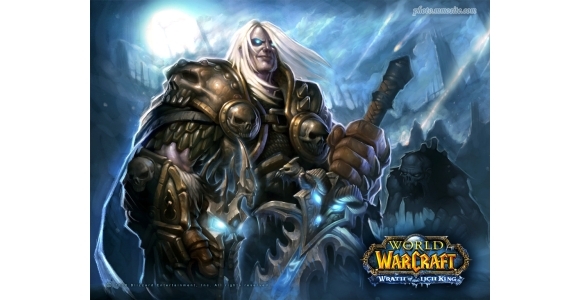 With approximately 12 million subscribers worldwide, World of Warcraft is one of the biggest online role playing games. Contrary to popular belief; it’s not just teenage boys lacking in social ability who play World of Warcraft as it genuinely does appeal to many. Whilst travelling around you will bump into parents sneaking a quick hour in whilst their kids sleep, men and women who use Warcraft to relax after a hard days work, much in the same way many people will watch their soaps of an evening. The folklore in World of Warcraft is so deep and vast it’s almost like an interactive Lord of the Rings. Admittedly you rarely actually meet the people you play with in Warcraft, but when you keep bumping into the same characters in game, or join a guild with a good group of players, you start to form acquaintances and friendships with the other players. There has even been a few couples who met in the World of Warcraft and ended up being happily married – you are able to make the game as social an experience as you want. You have the option to group up with other characters, where your character will take on a particular role in the group; for example Priests heal, warriors tank and mages deal the damage. There is even the option of forming a raid group of up to 40 characters to try and overcome the extra strong bosses that are scattered across the lands. You would think that all games must come to an end, however World of Warcraft is different in that you can always strive to earn better armour so you can defeat the strongest bosses in the game, or try and earn the in game achievements for different titles and rewards. Blizzard also periodically introduce expansions, which raise the maximum level, and introduce new content and areas to the game. Like any good franchise the game has a plethora of accessories, merchandise and books to go along with it and along with millions of subscriptions across the world, Warcraft is clearly a highly lucrative business which will be around for a long time to come.